It's time for red boxes, stats galore and best-laid plans for the economy. That can only mean one thing: it's almost Budget Day. Philip "Spreadsheet Phil" Hammond, Chancellor of the Exchequer is to give his first autumn budget, laying out the expectations for growth, government spending and a bunch of other statistics, along with a handful of eye-catching policy announcements to chew on. What issues are at play going into the new budget? One of the main topics that will be spun during and after the budget is the forecast for UK GDP growth from 2018 and beyond. In days of old, economists estimated that the UK economy had a trend growth rate of about 2.8% per year. Much of that was thanks to growth in the labour force, but the bulk of the figure stemmed from productivity (the measure of how productive UK workers are). However, productivity and by association, GDP growth in general have taken a bit of a knock since the global financial crisis in 2008. Productivity is a structural economic component that takes years to shift in a meaningful way. (As a sidenote, President Trump claims he can shift US GDP growth from 2% to 4% or higher, but is unlikely to do so for the following reason). Labour force growth, another major component of economic growth, is a demographic/social issue. Governments have much less control over how the population shifts within a country's borders, unless they adopt draconian policies like one-child policies or severely restrict immigration. Bringing this back to the UK's situation. Productivity growth has averaged just 0.8% a year since 2010. Growth in the labour force has fallen a bit to 0.5% in recent times. Combine productivity with labour force growth and you get a possible potential growth rate of just 1.3% for the UK. That's right, potential growth is likely to be half what it once was. One of the things to watch out for in the budget is the likelihood of the forecast growth being below 2%, something that Chancellors would have thought unthinkable in the past. Since the early 2000s, the UK government has consistently spent more money than it received in tax revenues. As a result, it has borrowed billions of Pounds, sending the national debt above £1.6trn. The financial crash blew a hole in the government budget, causing an annual deficit of over £150bn in 2009. In recent times, the Tory-Lib Dem and now Tory governments have whittled it down with a combination of gruelling spending cuts and controversial tax rises. The last Chancellor pledged to eliminate the deficit by the time of the 2015 election. The 2015 election came and went and the government is still running a deficit of about £40bn since April 2017. Fresh data today may provide a headache for the Chancellor. Borrowing was marginally higher than expected in the latest release. We have just a few more hours to wait before we see what numbers the Chancellor will pull out of his red box. Can he make sure he pulls the budget itself out of the red too? The Chancellor made a gaffe over the weekend on the subject of unemployment. Contrary to his choice of words, 1.4 million Brits are currently out of work. That equates to about 4.3% of the labour force, a level not seen since the mid-1970s. Sounds pretty remarkable on the surface, but what's happened to pay packets for those in work? As unemployment hits this seemingly golden low number, wage growth has failed to pick up, which you'd expect if the labour market was tightening. Since 2008, wages for those in work have failed to keep up with inflation. Wages grew briefly in real terms between 2014-16, but much of this was thanks to a fall in oil prices during that period. Following the fall in the Pound after the EU referendum, wages have resumed a decline in real terms for many months now. For public sector workers, wages have been frozen close to 1% for years, so the squeeze has been virtually constant since 2008. Private sector workers saw marginally higher wage growth during the same period, but even they are a bit out-of-pocket. Falling wages matter because they supply the Chancellor with tax revenue. If a significant proportion of the working population are seeing wages fall or if they fail to even have a salary high enough to be taxed, his numbers won't add up going forward. The state of a relationship between the occupant of Number 10 and Number 11 can make or break a government. In the Thatcher era, it turned toxic. The Blair years were marred by the tension over Tony Blair's plans after leaving Number 10. David Cameron and George Osborne enjoyed a steadier relationship over 6 years, but when the country voted to leave the EU, they were gone in quick succession. Theresa May allegedly considered sacking Mr Hammond in the event of a Tory majority in the June elections, according to the Daily Mirror. Obviously this failed to come to pass, and he remains in place for now. This gives the Chancellor and the PM a less than lukewarm set of relations this time round. 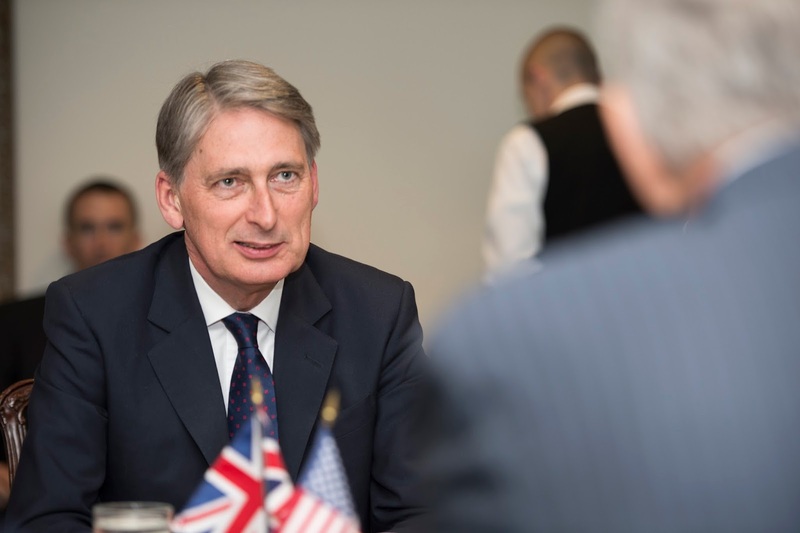 The budget is seen as a test, a moment of truth for the Chancellor to salvage the government and provide a statement of intent about the government's objectives as Brexit negotiations fill the headlines. One more slip-up and Mrs May could consider replacing him. Is the government losing its grip?